Professional Astrologer. Cambridge, Boston. 30 years experience. 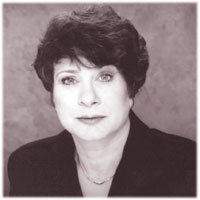 Joyce Levine is a full-time professional consulting astrologer with over 30 years experience. She serves as a catalyst to help you recognize your natural abilities and overcome obstacles to success and to take action at the right time. Individuals, couples, families, and businesses consult with Joyce. Just about anyone -- from welfare moms to venture capitalists. 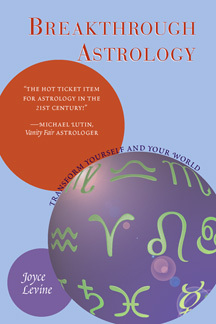 When I first became an astrologer, the image of people who consulted astrologers was something like ditzy females wanting to know about their love lives. While the press crucified Nancy Reagan for having an astrologer, few presidents have left office as beloved as Ronald Reagan. Many other people are working with astrologers behind the scenes, not all of whom are as forthright as J. P. Morgan who was quoted as saying, "Millionaires don't consult astrologers, billionaires do." Why would you see an astrologer? In reality, the first time you come to see me, you're apt to be a turning point—experiencing a roadblock or feeling dissatisfied with life as it is, or just itching for change. I provide you with a better understanding of yourself, why you are the way you are, and ultimately what you can do about it. This enables you to take charge of your life. That may mean you make more money, have better relationships, enjoy life more, or go on a spiritual quest. It's really up to what you want. What about astrological predictions? Is life completely fated? Astrologically speaking, we are the way we are from the moment of birth. Yet we are free to fulfill our potential or to fail to live up to it. Likewise, planetary cycles are fated. Life's ups and downs are predictable. Yet, how we interact during each cycle sets up the circumstances we encounter in the next one. We are free to handle problems or go under with them, to take advantage of opportunities or to let them go by. The choices we make are up to us.